Hello lovely people! Today I will be wrapping up the reviews on Vitamin C (SAP) products I have tested. Taking the final spotlight is another very popular product on Amazon with over 3,000 reviews: the Foxbrim Vitamin C Lotion. A “natural” moisturizer that keeps it minimal and can be used both morning and night. 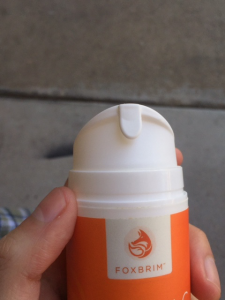 A quick note on the photo above: Foxbrim recently updated their packaging with bigger bottles, so you get more product! Definitely a little plus. 1.9 Summary of the Benefits. 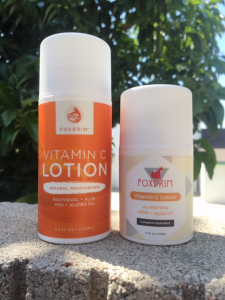 2 Scent of Foxbrim Vitamin C Lotion. 4 How to Use the Foxbrim Vitamin C Lotion. Here’s the full ingredient list. At at firsthand glance we already see a couple of good stuff. Let’s break each down. A very stable and bioavailable form of Vitamin C, making it a particularly useful ingredient to incorporate into cosmestic products. Unlike, Ascorbic Acid (the most powerful version of Vitamin C) it doesn’t oxidize quickly meaning we won’t have to worry about the product spoiling in a couple months. Generally when people look for Vitamin C products, they want the Ascorbic Acid variation. Why? Because it’s the most researched and its benefits are undeniable. It brightens skin tone, reduces hyperpigmentation, increases collagen production, and reduces fine lines and wrinkles. However, Ascorbic Acid requires an inherently low pH, making it potentially irritating for those not accustomed to chemical exfoliates or with sensitive skin — something that makes SAP a suitable alternative. Unlike Ascobic Acid, SAP isn’t irritating at all. In fact, clinical trials have shown its side effects are equivalent to the vehicle — that is, the “dummy” product used for comparative purposes that isn’t supposed to do anything! What makes this especially astonishing is that SAP comes with a ton of benefits. 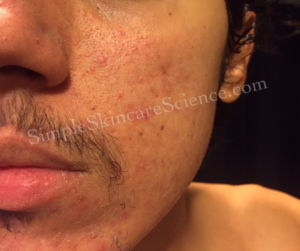 It fights acne and is considered more effective than 5% Benzoyl Peroxide monotherapy. Researchers have concluded it can be used as natural alternative to antibiotics. It brightens and evens skin tone, fades discoloration, and provides photoprotective properties (i.e. protects from the adverse effects of sun exposure). 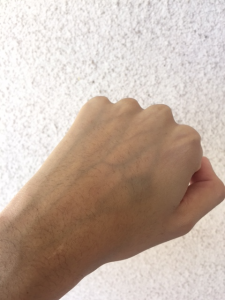 Best of all, the current scientific hypothesis is that SAP gets converted into the super duper strong version of Vitamin C (Ascorbic Acid) in the skin anyway. If you want to read my full post about Sodium Ascorbyl Phosphate click here. A natural ingredient as old as your great great grandmother x 10. It’s been used as a multipurpose skin treatment for over 3,500 years. 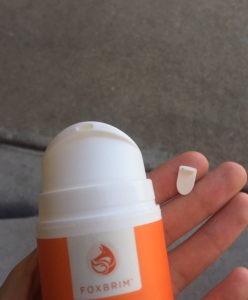 For most people, it’s that thing you gotta slather on after a horrible sunburn. Rich in linoleic fatty acids (upwards of 70%). (10) An effective emollient that retains skin moisture and is anti-inflammatory. Has a very low comedogenic rating of 1. A provitamin of b5. Effective at moisturizing the skin. Acts as a humectant and prevents transepidermal water loss (TEWL). (14, 15) That is, water leaving your face causing dry skin. It promotes keratinocyte differentiation. (16) English translation = helps improve the skin’s barrier function by keeping the stratum corneum (outer most layer of the skin) healthy. It may help treat burn wounds. 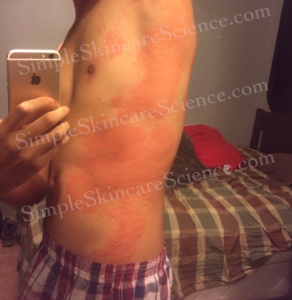 (17) And it may be an effective treatment for dermatitis. (18) I’ve had experience with this one too. Check it out. (Yes, I am one unlucky soul). A humectant effective at moisturizing the skin by drawing water from the environment and deeper layers of the dermis. Great natural antioxidant. (19) An effective wart treatment. (20) Smooths skin, has photoprotective properties, and controls oil production. (21, 22, 23, 24, 25) However, it’s so far down the ingredient list it probably isn’t doing much here. 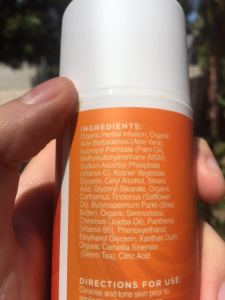 These all register as potential pore-clogging ingredients on COSDNA. However, take comedogenicity ratings with a grain of salt. They aren’t entirely accurate because they rely on studies done on rabbit ears. Needless to say, human skin is not rabbit skin. There have been multiple instances of ingredients clogging bunny ears that are perfectly suitable for human skin. The takeaway here is to patch test. While this moisturizer may have worked for me and many others, there’s no real way of guaranteeing it will for you. Everyone’s skin is different. What works wonders for some, may not for others. So patch test all of the things! Foxbrim isn’t being deceptive with their marketing. The mix of ingredients in this formula will go a long way in accomplishing what they’re claiming — evening skin tone, treating hyperpigmentation, providing photoprotection, and helping acne. Scent of Foxbrim Vitamin C Lotion. But man, trying to describe what this lotion smells like is tough. It’s unique. A very clean scent. Kinda like bland lotion but with a tinge of medicinal herb. Not overbearing at all. It’s almost unscented, but not really. Sorry I don’t have a better way of describing it. Like I said, this ones tough. THIS STUFF IS CREAMY. If you’re suffering from dry skin. You’ll love it. It comes with a nice little cap thingy (yes, I have a way with words) to presumably prevent it from oxidizing. It goes on a bit thick and takes a little bit of spreading to sink in completely. When it dries it has a very velvety texture. You can literally feel the smoothness of it on your skin. It feels heavy initially, but dissipates into a velvety tackiness. I know I used the word velvety already, but it keeps coming to mind! It’s just the best way to describe it. It’s velvety! Overall it’s very moisturizing and suitable for both day and night. If you have more oily skin, it might be just a tad too much for day use. How to Use the Foxbrim Vitamin C Lotion. This one’s pretty straight forward. Simply apply it as the last step in your routine before occlusives (if you use them). Here’s an example skincare routine considering all things. Depending on which products you use, some of these steps won’t apply so adjust it accordingly. Oil cleansing method, or oil cleanser. Low pH serums or toner. Wait 20-30 minutes. Salicylic Acid (BHA). Wait 20-30 minutes. AHA (glycolic, lactic, mandelic). Wait 20-30 minutes. Spot treatments or other actives (e.g. 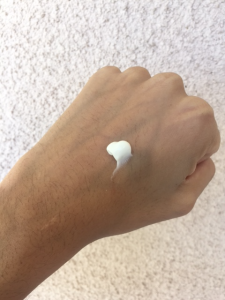 Benzoyl Peroxide, Azelaic Acid). Has some great stuff including SAP (Vitamin C), jojoba oil, safflower oil, green tea, panthenol (vitamin b5), aloe vera, shea butter etc. In my opinion it could use a little more beneficial ingredients like Niacinamide or CoQ10, but that’s just me being picky. Very moisturizing, fights acne, lightens skin, reduces hyperpigmentation, provides photoprotection, and is extremely gentle. Takes a bit of spreading. Sinks in nicely, and has a velvety finish. May be too much for oily skin types. No complaints here. Packaging is nice. Ingredients are stable. Well priced for the amount of product you get. My final thoughts? 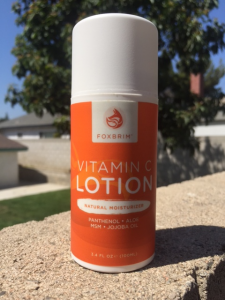 The Foxbrim Vitamin C Lotion is a solid product with great but minimal ingredients. Not much else to say about this one. Hope you’ve enjoyed the review! So, I have a lot of acne scars on my forehead and cheeks and I wanted to know if this product really helps reducing hyper pigmentation. Great review! 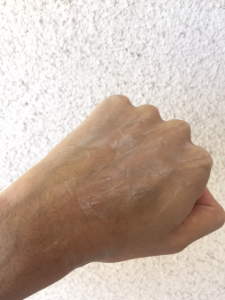 Do you happen to know the percentage of SAP in this moisturiser?